An exhibition focusing on the Gordon Highlanders and their experience during the first months of the First World War has opened at the regiment’s museum in Aberdeen. 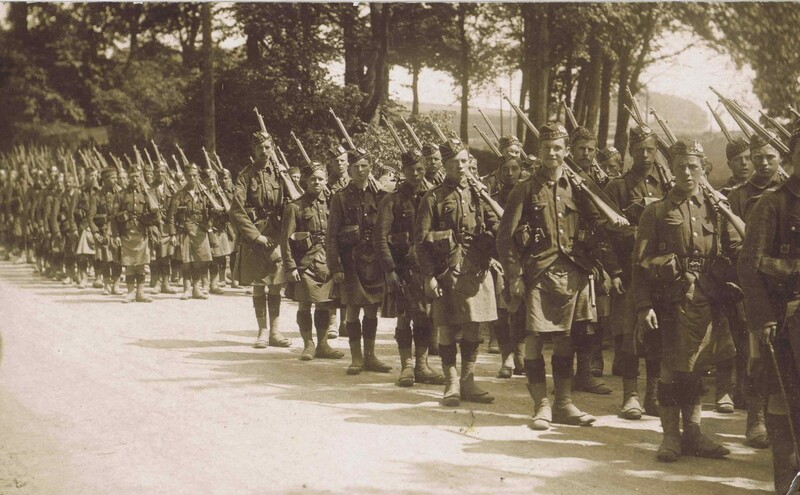 Shattered Hopes: The Gordon Highlanders in 1914 follows the unit throughout the battles of Mons, Le Cateau and Ypres. Highlights include the sword carried by Captain James Brooke, posthumously awarded the Victoria Cross on 29 October 1914, during the first battle of Ypres. Captain Brooke led two attacks German positions, regaining a lost trench and preventing an enemy breakthrough. His Victoria Cross, one of 19 is on permanent display at the museum. The exhibition also features a drum belonging to 2nd Battalion, Gordon Highlanders that was abandoned in Ostend, Belgium, in October, 1914 and the medals of Private Peter Imlah, of the same battalion, who in 1918 was the sole survivor from a draft of 200 men who had left for France in 1914. Jesper Ericsson, curator of the Gordon Highlanders Museum, said: ‘This is the exhibition that people have been waiting for. Public interest in the First World War is huge, and the story of the Gordon Highlanders in 1914 is both unique and extremely moving. To find out more about the exhibition, which will run until 19 November, click here. This entry was posted in Events, News and tagged 1914, Aberdeen, Belgium, Captain James Brooke, Centenary of the First World War, Christmas Truce, events, Flanders, France, Gordon Highlanders, Le Cateau, Mons, news, Scotland, UK News, VC, Victoria Cross, Ypres. Bookmark the permalink.